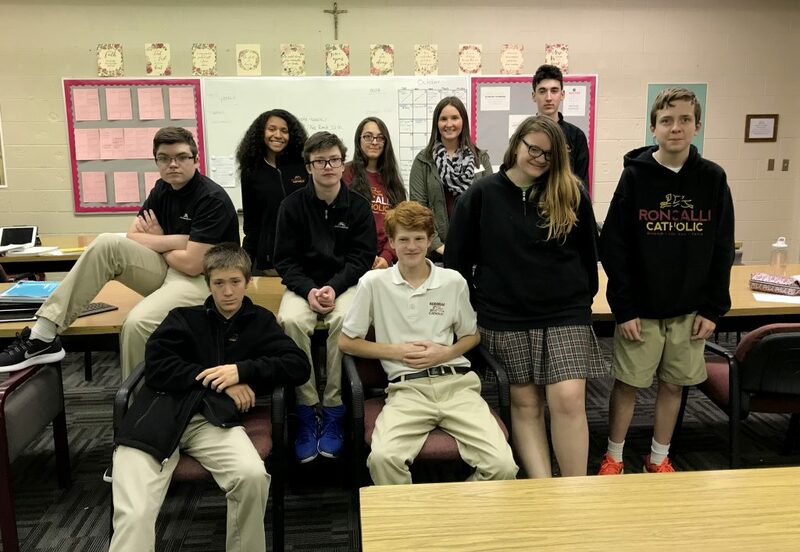 Roncalli Catholic High School is home to an innovative, nationally recognized program that helps students achieve success in the classroom. 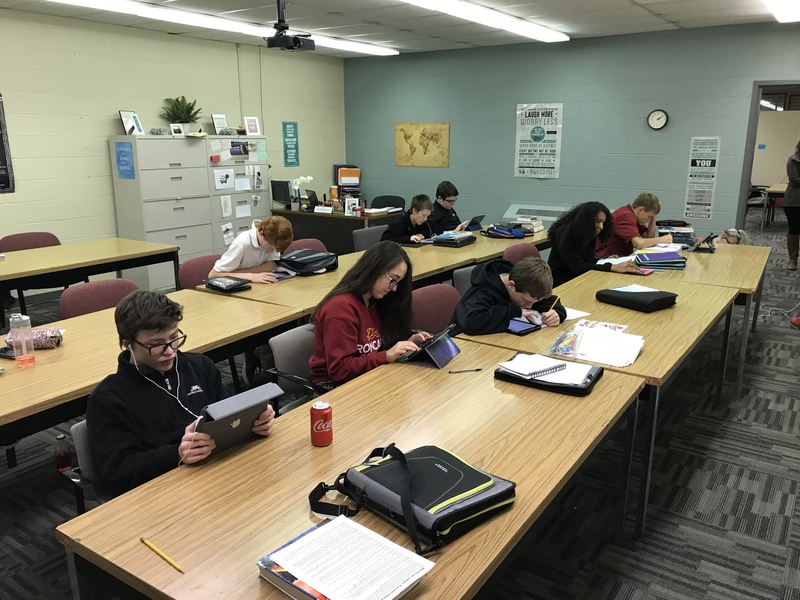 Starting in the fall semester of 2017, Roncalli Catholic instituted the Benilde Program, which provides daily academic support for students who are able to cognitively adhere to a college preparatory curriculum, but may have educational needs that can make it difficult for them to achieve their full potential on their own. The philosophy of the Benilde Program is that students attend the same classes, participate in the same clubs and extra-curricular activities and meet the same requirements as their peers. To help them succeed, the Benilde instructor will promote academic and self-advocacy skills, which will increase the probability of success. The students involved in the Benilde Program are successful because they attend a core class over the summer to lighten their academic workload, may take classes out of sequence, attend a daily Benilde class, learn advanced study skills, test-taking techniques, and other strategies for maximizing academic success. The ultimate goal of the Benilde Program is to teach each student how they best learn so that they are successful in college and beyond. What will be the format of the accelerated summer course? The accelerated summer course will be for four weeks during the month of June. Class will be held in the morning at Roncalli Catholic. The course will be an online format that will be directed by and done collaboratively with the Benilde Director. How long will my student need to be in the Benilde Program? Students are allowed to stay in the program all four years of their high school career if needed. Most students stay in the program for one to two years. The main goal of the Benilde Program is to help students learn the skills necessary to be successful in high school and then be able to utilize them independently in preparation for college. What will the daily Benilde class be like? Students will cover various skills necessary to maximize their success at Roncalli Catholic. Areas such as self-advocacy, test-taking strategies, organizational skills, and study skills will be taught. The Benilde class will be able to adapt to individual student needs as necessary. What other schools have taught the Benilde Program? The program started in Washington D.C. at St. John’s College High School and has become a nationally recognized program. RCHS will be the first school in Nebraska to implement the Benilde Program. Hi! I am Leah (McGrew) Critchfield, the Benilde Director at Roncalli Catholic High School. I grew up in a small farming community where faith, family, and education were important. I knew I wanted to be a teacher from a very young age. I always admired teachers because of their ability to help others. I wanted to be in a position where I could help students develop a love of learning even if it was difficult for them. 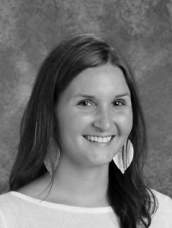 I started my education career teaching middle school special education for three years in Columbus, Nebraska. I then moved to Australia where I relief taught in special education schools for six months. I then served as a special education teacher for the Papillion-LaVista School District for two years. I earned a Bachelor’s degree in Education with a K-12 Special Education certification from Peru State College and a Master’s degree in Education from the University of Nebraska-Kearney. I could not be happier to be a part of the Roncalli Catholic family. For more information on this exciting and innovative program, please contact Mrs. Critchfield at lcritchfield@roncallicatholic.org.